Product prices and availability are accurate as of 2019-04-18 11:08:35 UTC and are subject to change. Any price and availability information displayed on http://www.amazon.com/ at the time of purchase will apply to the purchase of this product. Here at Christian Net we offer high quality Christian products, such as Looking To The Future (#11 in the Bregdan Chronicles Historical Fiction Romance Series). Choose this product now and let Jesus Christ into your home and hearts. 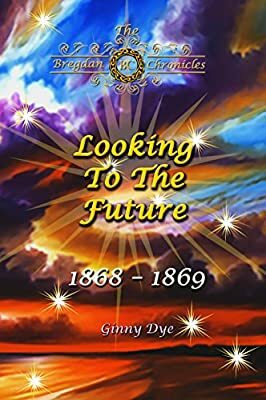 Looking To The Future is the 11th book in the Bregdan Chronicles historical fiction series. As of today, there are 10 books in the series. Make sure you start reading with # 1 – Storm Clouds Rolling In. It's readers like you who have turned the series into a world-wide best-seller. Thank you! Book Description:How will America, and the characters you have come to love, continue to heal from the backlash of the Civil War? Carrie travels to Philadelphia to fulfill a promise, but is stunned by what she discovers, and is thrown into a world she knows nothing about. Moses and Rose are moving forward in college, but will Moses make a different decision? How will Felicia handle the challenges? Jeremy and Marietta receive the surprise of their life, forcing them to make a decision they hoped they would not have to make. Matthew and Janie welcome a new child at the same time Matthew deals with great turmoil. When everyone really just wants a simple, clear future, each person finds they have to make the choice every single day to Look To The Future. Volume # 11 of the Bregdan Chronicles continues the sweeping historical saga that now encompasses the fourth year of American Reconstruction. How many books will be in the Bregdan Chronicles? No one knows yet… Ginny intends to write these character's stories, one year at a time, for as long as she is able to write. She is passionate about bringing history to life through historical fiction. Since she is amazingly healthy, that could be for a very long time! She doesn’t like stories to end any more than you do. This one won't end for a very long time! Review: Happy, sad & impatient (waiting for the next book)! History you've never been taught brought forward. I've learned a lot of history from all of Ginny's books (thank you so much for sharing). It's hard to believe these people are fictional. The story continues on in each book, a page turner you'll be reluctant to put down until you've finished reading the entire book. Less than 24 hrs since its' release and I've finished the book. Time to start rereading the entire set again. If you haven't read any of these books you've missed out big time. My suggestion would be just try the first book. If you're not hooked by the first chapter try one more. These books have grabbed my heart & soul from the beginning page right until the last word. Review: I JUST FINISHED ALWAYS FORWARD.. As always reading any of the Bregdan Chronicles, I did not want to put the book down. I will read it again. I have learned so much from reading all 9 of these books. I also felt part of the main people in the book and their families. At one point I cried and cried. Right now I am going to go back and read the book again. I have so much more to learn from this book, and to enjoy reading it all over again. Thank you, GINNY DYE. I love reading, but these are the best books I have ever read. And have opened up my eyes to things I never knew.